Never before has the Senedd public chamber been so full as last Wednesday. 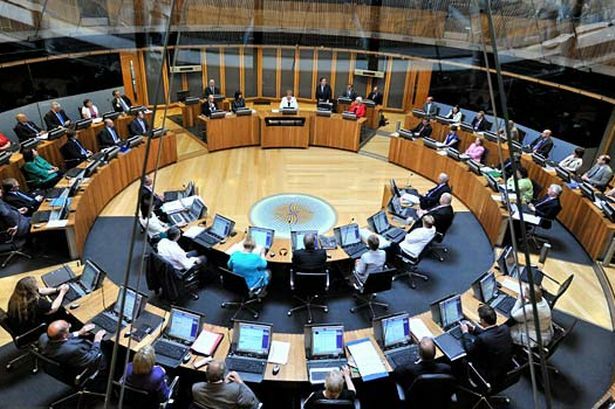 The place was packed full of the fresh faced school children of Wales who had come down for the launch of the Assembly’s Youth Engagement Initiative held on the last day of plenary before the summer recess. But within under a minute of the plenary session starting, the youth of Wales were clambering for the exits. The session had started well, with Assembly Presiding Officer Rosemary Butler and leaders of all the parties welcoming all the fresh faced teenagers to the public chamber which was so packed that it was standing room only. Amiable, almost too earnest at times perhaps, the party leaders nonetheless rightly emphasised the need to engage and involve the youth and next generations of Welsh citizens in the politics of Wales. A round of applause was given by the Senedd chamber AM’s as well as by the young citizens looking down at them in the public chamber. After formalities, the day’s business needed to be gotten on with. Mrs Hutt took to the floor and demonstrated with great finesse how exactly not to engage and involve teenagers, pensioners and human beings in the politics of their country. Maybe they had prior engagements but the teenagers were gone in 60 seconds. If there should be a demonstration of exactly how to not engage the youth of Wales or anyone one else in Wales, this was sadly it. In 45 minutes and 15 questions asked by Assembly members, the Minister of Finance demonstrated all that is wrong with Welsh politics as it currently stands. 15 fairly straightforward and direct questions were asked, 15 meandering, waffling, bureaucratic double speak office training speeches were given in return. The AM’s were none the wiser and shook their heads in usual despondency at not having a Government Minister actually answering the simple question they asked. 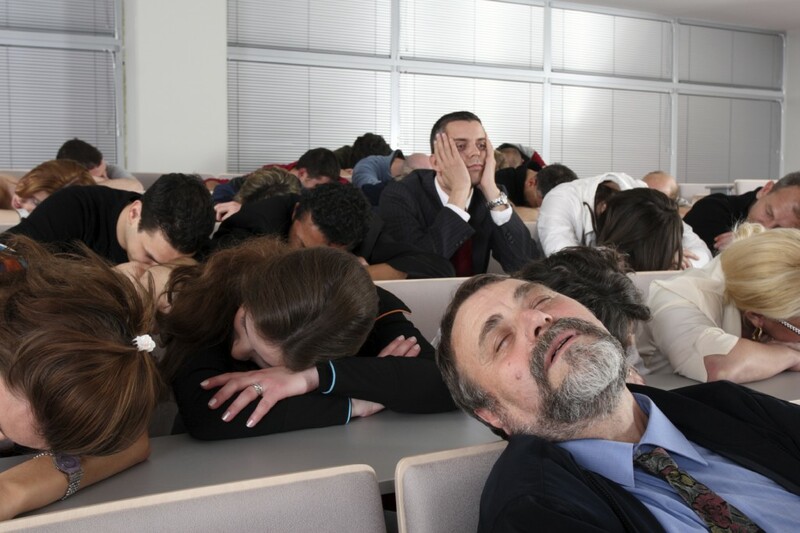 The few brave souls who had made it through the full 45 minutes in the public gallery were not only none the wiser as to what the Minister of Finance was on about, but almost in a state of hypnotised, comatose. The handful of teenagers who had made it through the 45 minutes had started the session with rosy cheeks and clear eyes. By the end of the 45 minutes they were pale, bleary eyed and slumped in their seats like world weary 80 year olds stricken by arthritis and a longing for the good old days. Questions about where all the £1 billion pounds of funding were going to come from for the new M4 relief road (no mention how a Welsh public bank would be perfect for this type of project), questions about public borrowing in general, questions about publicly available details of jobs created in all local authorities by capital projects, questions on why large infrastructure spending isn’t focused on connecting Welsh transport within Wales rather than in an out of Wales – all of these were asked. Although Mrs Hutt answered most of these points at length, nobody really knows what she said. As recently covered by Gerald Holtham and others, Mrs Hutt is not alone in this of course. She is perhaps indicative of a style of office speak politics which has failed and is failing to engage the citizens of Wales. The Minister for Economy Science and Transport and now Agriculture and Fisheries Edwina Hart doesn’t even pretend to be involved in a debate and won’t even stand up to speak – she prefers staying in her seat and reading out her reports and recommendations from her Government instruction book as if she was a teacher reading out to a class of naughty kids. 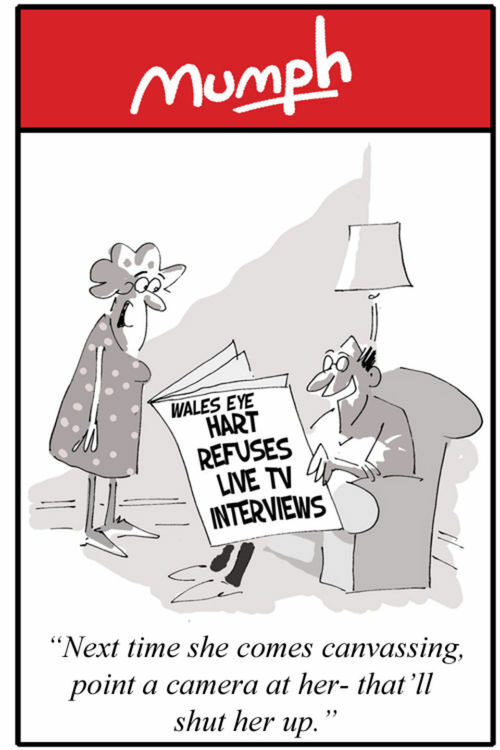 According to the Wales Eye site ,for more than three years Mrs Hart has even refused to accept live broadcast interviews where she may face unknown questions. So much for transparency and open government. This term has been interesting. Next term has to be better. If the youth of Wales want to get involved and engaged in the future politics of Wales, the ones watching and listening are being given a valuable lesson on how not to do it by the present Welsh Government.